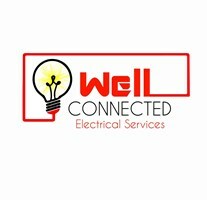 Well Connected Electrical Services - Electrician based in Clydebank, Dunbartonshire. I have 17 years experience in the electrical industry and have worked extensively in the domestic, commercial and industrial sector. Originally educated in Bath where I ran my first company, before relocating to Glasgow and establishing my business here, I’m City & Guilds qualified with 18th Edition and Part P, I’m also an NICEIC approved electrical contractor and an approved certifier under the Scottish government. Liam the company owner treats the companies reputation with a great deal of pride and goes to any length to ensure all clients are happy. Glasgow based but willing to travel if required.